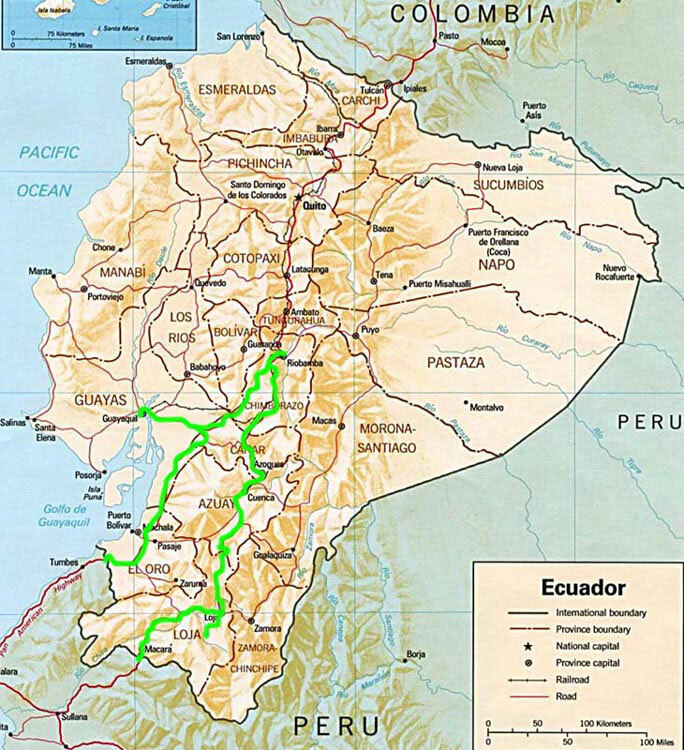 By bus - as part of a bicycle world trip - from the Peruvian border northwards to Guayaquil, eastwards to Cuenca and Vilcabamba and south to the Peruvian border. So I hopped on a bus to Cuenca, where it appeared to be rather boring, then on to Loja and Vilcabamba, but the weather was´nt much better here and the Andean scenery even the one near Chimborazo could hardly beat the much more scenic Peruvian Andes. Given the circumstances I decided to head back to my bicycle, that was waiting for me in Huaraz in the Peruvian Cordillera Blanca. Cause after all that time of trekking, climbing and bus riding, I really began to miss cycling! 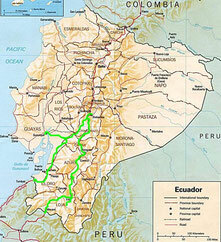 Therefore, Huaraz, I´d be back soon!